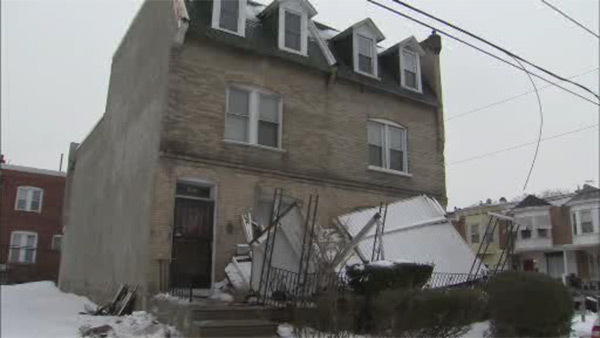 WEST PHILADELPHIA (WPVI) -- A porch rooftop came crashing down at a house in West Philadelphia. It happened around 8 a.m. Saturday on the 5000 block of Race Street. The support beams somehow collapsed, bringing down the roof front porch.